The Halo TV show is officially greenlit. Yes, for real. Speculation surrounding a TV series based on the critically-acclaimed Xbox shooter has been high since the past five years when Steven Spielberg announced he would be producing a live-action adaptation of the franchise. The initial release of the show was pegged at 2015, but it never came to fruition and all the rumor-mills eventually calmed down. Most were wondering whether the show was stuck in development hell, whether the issue of creative rights had not been sorted out, and other related complexities that come with a popular franchise. What Are The Details On Production? The show has been ordered for a 10-episode live-action season by US channel Showtime. It will be produced by Steven Spielberg’s Amblin Television, and Kyle Killen (Awake) will serve as the executive producer and showrunner. Several episodes will be directed by Rupert Wyatt (Rise of the Planet of the Apes). Production on the epic Xbox gaming franchise is likely to kick off in early 2019, so the release date can be expected around late 2019 or 2020. What Will Be The Plot Of The Show? Though details are scarce, Showtime has stated that the TV series will “combine personal stories with action and a “richly imagined vision of the future”. That means the first season is likely to have a lot of futuristic world-building as well as exciting battle scenes between the United Nations Space Command and the Covenant. We are pretty sure that the events of Halo: Combat Evolved will play a central role in the TV series since it was the game that kicked things off for the franchise. There is loads of material the show can draw from because the Halo universe goes beyond the game series to include books, comics, as well as two miniseries that are part of the canon – Halo: Forward Into Dawn and Halo: Nightfall. Which Characters Can We Expect In the Show? Earlier in January 2018, Showtime’s Gary Levine had stated that the show would ‘definitely satisfy the fans of Halo and… the drama audiences of Showtime“. That likely means we would certainly see Master Chief, his personal AI Cortana and the primary antagonist 343 Guilty Spark, as well as other characters and groups to serve an intriguing platter of stories. Master Chief, the main protagonist of Halo, is based on Clint Eastwood’s character Man with No Name in Sergio Leon’s Dollar Trilogy (A Fistful of Dollars, For a Few Dollars More, and The Good, The Bad and the Ugly). Halo was originally conceived as a real-time strategy game, as it was the era of Warcraft and strategy ruled the roost. It was also supposed to have 25 levels initially, and not 10 as in the final product. The war waged in Halo is not merely concerned with territory, but is, in fact, a religious war. Halo was supposed to be an exclusive for Mac. However, Bungie was acquired by Microsoft and the rest is history. Long before Cortana was translated into real code for Windows 10, Halo players vividly remember her as the female AI companion of Master Chief. Imagine the impact the character had that Microsoft actually used it for its next Windows version. Also, Cortana’s original physical form is inspired by the Egyptian queen Nefertiti, who was renowned for her beauty. 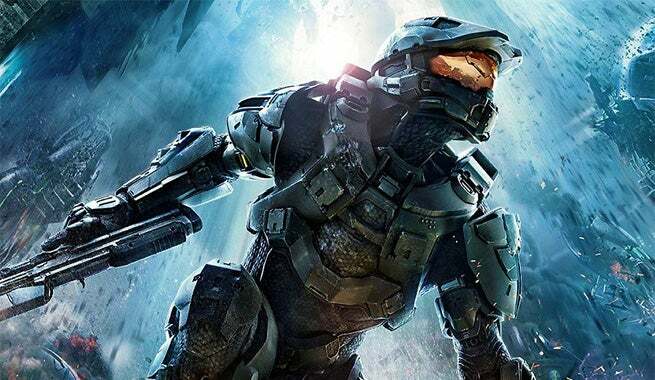 More than 20 Halo novels have been published to date, selling over 11 million copies across the globe.